An anomaly in New York’s real estate situation led to a brief flowering of an under ground music scene in Manhattan. With the demise of manufacturing in downtown and midtown New York after World War II, old industrial lofts had been vacated and were either left empty or were taken over by squatters as their surrounding neighborhoods become depopulated and decayed. Left empty, unused, unwanted, and, due to zoning regulations, legally uninhabitable, the owners of these buildings also tended to neglect the upkeep of the premises. By the mid-1950’s, artists and especially jazz musicians realized these large open spaces could be used for artistic pursuits as studios and performance spaces , and, due to their neglect, could also be surreptitiously inhabited, usually with a small rental fee for these purposes. Owners, happy to receive any rent at all, tended to turn a blind eye to the use of these buildings and artists began to proliferate, establishing many such locations as unlicensed and unregulated “underground” rehearsal and performance venues. 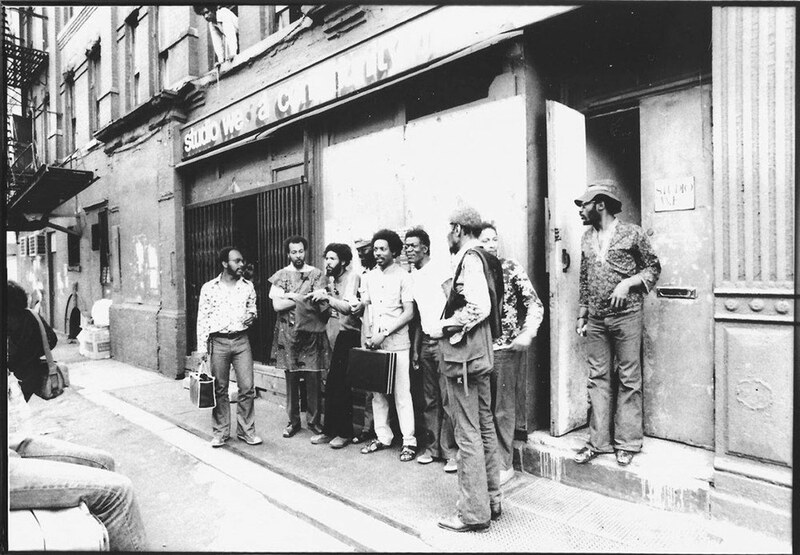 By the early 1970’s, close to twenty such lofts were established and provided jazz musicians—especially those promoting newer, less commercially viable musical styles—with a much needed place to live cheaply, meet, rehearse, and perform. Ironically, as these venues became more established and the artists organized and began to fight for new zoning regulations to allow themselves to acquire the right s and responsibilities as tenants, politicians and real estate developers began to see the advantages of rezoning and developing these buildings to revitalize and create a more economically viable area in Manhattan. Subsequently, as the laws changed, rents went up, and the artists who helped create the interest in these areas began to be priced out of the very places they helped develop. By 1980 the New York jazz loft scene was deemed at an end. Two very different releases have been recently published that deal with the phenomenon of the jazz loft. The first is Michel C. Heller’s in-depth academic account Jazz Loft: Improvising New York in the 1970s (University of California Press, 2017). Heller’s book has seen a good deal of well-deserved reviews in publications such as the Village Voice and Downbeat, and has received glowing acclaim by well-established musicians and academics William Parker and Ingrid Monson. It is a thoroughly researched study examining the many ways in which the New York loft scene can be examined: historically, artistically, socially, and contextually. Heller, though, spends considerable time covering any detractors by including numerous caveats, thus positioning his book in the academic, PC present. By doing so he takes many of his truly interesting insights and relativizes them, making this study a more taxing read than it needs to be. 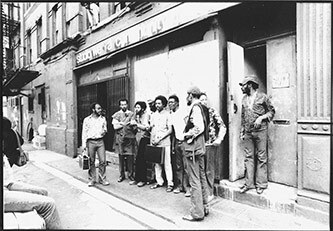 Though he has conducted interviews with numerous musicians involved in the loft scene and perused much background material, Heller’s book is based primarily on his interactions with musician and community activist Juma Sultan, who for many years ran Studio We on Eldridge Street. The book thus suffers some from Heller’s lack of attention to other loft organizers, who may not share Sultan’s insights and points of view (as was evidenced by my own interaction with fellow musician Mo Morgen, who ran the Jazzmania loft, but whose input is noticeably absent from Heller’s study). Heller’s story gets further muddied when he dedicates a chapter to jazz archival approaches, which, while they may be of relevance to someone specifically interested in this area of study, appears rather tangential to the topic at hand. This acknowledged, Heller’s book is a much-needed reference for further studies into this fascinating subject. WNYC’s documentary film, The Jazz Loft According to W. Eugene Smith, by comparison, provides a very different and visually stunning narrative. Smith, a photographer for Life magazine, was badly wounded in World War II. After recuperating he returned to his family in upstate New York only to soon abandon them, relocating to the city to live, work in, and document the activities in the loft he began occupying in Manhattan’s flower district in the late 1950’s. Under Sara Fishko’s capable direction, a story unfolds of a truly tortured genius who placed himself at the center of a burgeoning creative loft scene, obsessively documenting nearly the entirety of the loft’s activity via both thousands of photographs and hundreds of hours of recorded sound, as Smith placed microphones throughout the entire loft complex. As the film follows the timeline of events, it returns to show Smith’s background and artistry in photography as the viewer is introduced to the many stellar jazz artists who graced the loft’s premises. The centerpiece of the movie is the introduction of fellow loft denizen composer and arranger Hall Overton, a much-neglected personality in the jazz canon. Overton, who shared a wall with Smith, lived, worked in, and conducted lessons in his section of the loft. The story then followes his interactions with Thelonious Monk. The two greats combined to create the large-ensemble arrangements for Monk’s well-feted Town Hall concerts, captured in a historic recording. After this event, the film winds down and the viewer follows the slow demise of this particular loft and a quick overview of Smith’s final years. In all, the two publications work in tandem: Fishko’s movie puts flesh on Heller’s book and brings the story to vivid life the story of an under ground jazz scene that for the most temporal of reasons flourished for a time in New York and led to some truly innovative experiments and music.